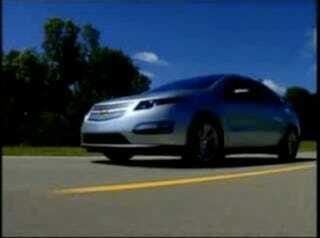 Thanks to the folks at GM-Volt.com, you can now not only see the Chevy Volt slowly moving on a GM road course, you can see it with a soundtrack! Yes friends, a spaceship-like sedan apparently deserves Coldplay, as its spacey sprocket of an unofficial musical accompaniment. Check it out below the jump and tell us in the comments how long you were able to watch before the music became too annoying to bear any longer. We made it nine seconds.